Increasing in mobile usage has put mobile at the forefront of a cultural shift to a new way of thinking for marketers and brands. Mobile advertising does not, and cannot, fit into the traditional marketing mindset. This shift inspires brands to think differently, ignite new ideas, and translate them into a winning and clickable advertisement. Mobile has provided marketers and brands the opportunities to reach consumers on their mobile devices in real-time. If we think about it, mobile is defining the way we live our daily lives, because it’s collaborative; it’s social; it’s accessible, helping us connect and do things together. Mobile users are expecting that mobile ads do not interfere with their experience and to get something in return for clicking on the ads. Advertising on the mobile provides you and your brand an opportunity to initiate a conversation but it’s also a means, if done correctly and creatively, to make your brand becomes the conversation. How? You and your brand would need to do the following to produce a winning advertisement on iPhone, Android, Windows, Google, all other mobile devices. Have pleasingly designed whole page, non-spamming ads that display during a download or when waiting for search results to return and are integrated into the user experience while swiping through a story, for example. Your design is critical; your GUI needs to invite consumers in and facilitate the interaction. It needs to be simple yet interactive. Have multimedia banner ads that are mobile-friendly and don’t interfere with the user experience. Getting into their media can be sensitive. Keep their experience simple without taking away the social dimension. Zynga has done a good job at cross promoting all their Zynga games. Notice how their ads for their games are scrolled with the content. This creates an effective tapping experience that doesn’t interfere with their gaming experience. Remember, you don’t want your ads to annoy and frustrate the users. Users do not want ads that they see as a blatant intrusion into their mobile experience. Have gaming ads that communicate sociability and utilize social media platforms. Gamers like apps that offer rewards for completing of a milestone or level in a game, sharing contents, accomplishing a level, or getting users bragging rights. Differentiate yourself from other gaming apps by having ads that speak to the kind of gaming experience that gamers can rave about. Give them a sneak preview to entice them. Your gaming ads need to communicate fun. Have rich media that enhance user gaming, viewing, or listening experience. Performance is important. Ensure that your rich media is performing at an optimal level. Users will not patiently wait for your media to load. Display QR codes, a unique bar code, on a mobile version of your business to let consumers instantly learn more about your business. This allows ease of search, increase app downloads, and encourage engagement. QR codes will increase check-in’s and reviews of your products or business, help consumers geo-locate your business, motivate them to launch videos, drive them to sites such as Foursquare, and let them find an offer that you posted on their Place Page. 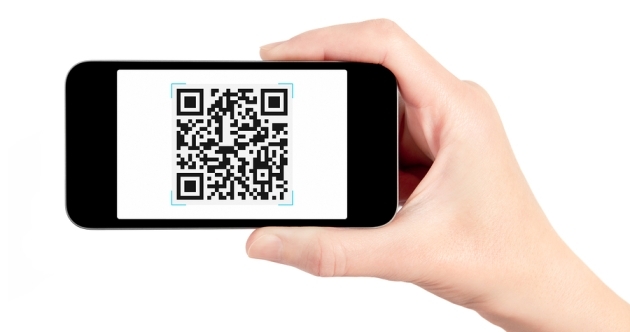 QR codes are increasingly popular because it’s all about accessibility to the consumers. Make QR codes part of your advertisement campaign to drive viewing, sharing, and a call to action. Create transparency and trust that if consumers opt-in to participate in promotions or receive information of interest, that they can do so without worrying about spam and hidden charges and without having their contact information be shared with your partners, affiliates, or other suppliers. If they decide to opt-out, remove them immediately. It’s important to establish and maintain trust with your consumers. You don’t want to risk losing them to your competitors. Test your ads and QR codes on multiple mobile devices such as iPhone, Windows, Google, and Android devices to ensure that they are compatible, error-free, and work at optimal performance level in regards to speed and user experience. Test your ads to ensure they work in a natural and responsive way. For example, they should respond to user’s taps in a predictable and effortless way. Your ads are a commodity on mobile. Make sure that they are designed, developed, and implemented for great usability and mobile enjoyment. They are a reflection on your brand’s image. Mobile is the new face of advertisements. Don’t let your ads negatively impact user experience. Remember, your ads need to generate a lot of positive discussions and call your consumers into action. Giving them a great user experience will give your consumers a reason to return, to spread the news, and to buy your products or apps. For more information of creative advertisement, check out – Creativity: Top 8 Tips to Creative Advertising. As always, comments are welcome.